Clearing Agents Cautious About EAC Single Customs Territory « What Happened to the Portcullis? The following article featured in The New Times (Rwanda) provides a snap shot of developments towards a future “Customs Union” in East Africa. 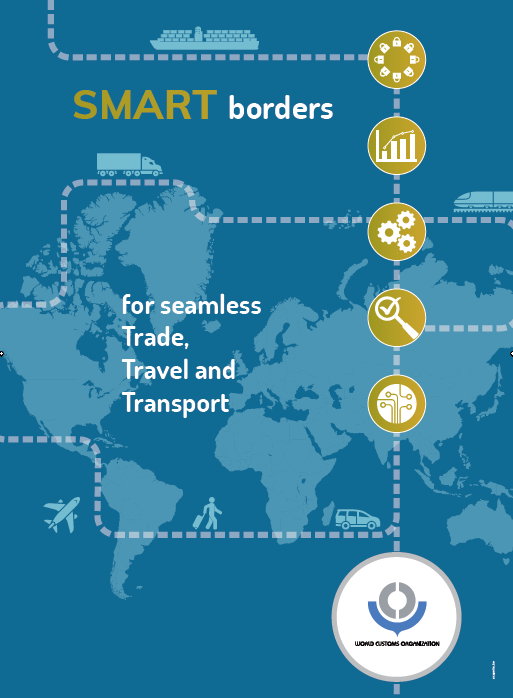 While valid concerns are being expressed by traders, how close are the respective Customs administrations in terms of common standards (tariff, regimes, etc), and the application of common external border procedures? The rest of Africa should follow this process closely. Unlike the EU, where it is incumbent of prospective Customs Union members to first attain and implement minimum customs standards prior to accession, here you have a pot-pourri of member states who apply national measures aspiring to an ultimate regional standard. Who determines this standard? Who is going to maintain ‘watch’ over the common implementation of such standards? Forgive the long article – this is a very significant development for the African continent. With the East Africa Community integration process gaining pace rapidly, clearing and forwarding agents have been advised to set up shop at entry ports under the proposed single customs territory. Angelo Musinguzi, the KPMG tax manager, who is representing traders on the team of experts negotiating the establishment of the single customs territory, challenged the agents to look at the opportunities that the policy brings instead of focusing on how it will harm their businesses. “You need to look at this as an opportunity for business expansion because this policy will remove trade tariff barriers, duplication of time-consuming and costly processes and corruption. This will improve efficiency and reduce the cost of doing business,” he said. The advice follows a deal reached by Uganda, Kenya and Rwanda where top customs officials from landlocked Rwanda and Uganda will be stationed at Mombasa port to ensure quick clearing of goods and curb dumping of cheap products in the region. Under the deal, Kenya will create space for its partners to set up customs clearing units. Rwanda was given the task of establishing the single customs territory at the recently-concluded meeting between Presidents Paul Kagame of Rwanda, Uhuru Kenyatta of Kenya and Uganda’s Yoweri Museveni held in Entebbe, Uganda. However, local clearing and forwarding agents as well as traders are skeptical about the deal and want the process delayed until Rwandan businesses are supported to become more competitive. “There are issues we still have to examine critically before the policy is implemented. For example, who will collect revenue and how will it be collected? How will Rwanda share the revenue? Will we have a common legal framework? Will we share Kenya’s or Tanzania’s infrastructure? Fred Seka, the Association of Freight Forwarders and Clearing Agents of Rwanda president, noted that the move could affect them negatively if it is not studied carefully. “We have already raised the matter with the Minister of Trade. Besides hurting small firms, the country will lose jobs when companies relocate to Mombasa or Dar es Salaam. That is a big concern for us,” Seka said. He noted that some of the partner states have many trade laws that might affect their operations. “It would be better if a locally-licensed company is not subjected to any other conditions once it relocates to Mombasa,” Seka noted. Mark Priestley, the TradeMark East Africa country director, said the research firm and other players were currently conducting studies on how the single customs territory can operate without harming any player. “The intention is not only to ensure that we get rid of barriers which have been hampering trade, but also reduce the cost of doing business within the region,” he said. He added, however, that it was too early for traders to be scared of the consequences of operating under the single customs territory. Last year the Permanent Secretary in the EAC Ministry, stated that the model which will involve shifting customs operations from Rwanda to the ports of Mombasa, and Dar es Salaam, will lead to unemployment, revenue loss and adverse multiplier effects. According to the model, certificates of origin of goods would be scrapped, which, according to Kayonga, would lead to the suffocation of local industries as well as making the region a dumping ground for unnecessary products. Scovia Mutabingwa, the Aim Logistics East Africa managing director, said there was need for more consultations on the operation of the single customs territory “to understand how it will work”. “We need to know where our bargaining power is in the region?” Mutabingwa said. She noted that there was a need to first harmonise other trade policies if the single customs territory is to benefit all businesses in the region. She pointed out that she had applied for a clearing and forwarding licence in Tanzania over one and half years ago, but she was yet to get it. “How shall we work in such countries?” she wondered. Another clearing firm, urged those negotiating the deal to ensure uniformity in tax policies across the region. “In Rwanda, there is 100 per cent tax compliancy, but we know this is not the same in other countries. How will we compete favourably if such issues are not addressed?” she wondered. While one needs at least $300,000 to open a business in Kenya or they have to give a stake in their company to a resident, non-Kenyan companies also pay higher taxes at 35 per cent corporate tax compared to 30 per cent for locals. Tanzania still has over 63 trade laws, and to operate a clearing firm there you need to be a Tanzanian, according to Musinguzi. The East African Community (EAC) Customs Union Protocol came into effect in July 2009 after it was ratified by Kenya, Tanzania and Uganda in 2004 and later by Rwanda and Burundi in 2008. The creation of the EAC customs union was the first stage of the four step EAC regional integration process. When fully implemented, the customs union will consolidate the East Africa Community into a single trading bloc with uniform policies, resulting in a larger economy. By working together to actualise the customs union, partner states will deepen EAC co-operation, allowing their citizens to reap the benefits of accelerated economic growth and social development. However, the customs union is not yet fully implemented because there is a significant level of exclusions to the common external tariff and tariff-free movement of goods and services.